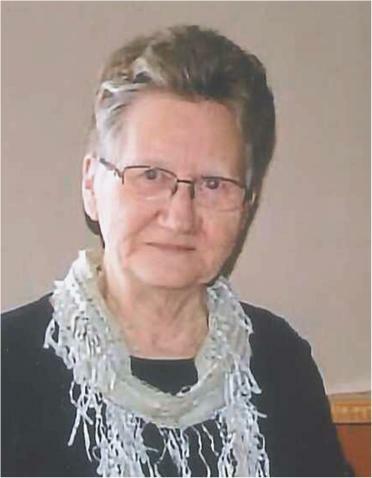 Marilyn Ann Klippenstein, late of Trossachs, SK, passed away on November 26, 2018 at the age of 77 years. Marilyn was predeceased by her parents: Earl and Stella Webster; mother and father-in-law: Bernhard and Susie Klippenstein; brother Dennis Webster; brothers-in-law: Dan Klippenstein, Ron Phillips and Mel Heintz. Marilyn is survived by her husband of 57 years, Bernie Klippenstein, Trossachs, SK; son Kelly (Kim) Klippenstein, Nashville, TN and family (Cole, Emily, Sarah, Grace); daughters: Karen (Brent) Sokoloski, Saskatoon, SK and family (Rachel, Jenelle); Kathy (Kevin) Trithart, Weyburn, SK and family (Charlene, Rylan (Christie); brother Darrell (Shelley) Webster; sister-in-law Sherry Webster; brothers and sisters-in-law: Frank (Joan) Klippenstein, Dave (Darlene) Klippenstein, Joan Klippenstein, Shirley Heintz, Betty (Dan) Jantzen, Art (Diane) Klippenstein, and Sadie Phillips; as well as numerous nieces and nephews. Visitation will be held Monday, December 3, 2018 at 7:30 p.m. to 9:00 p.m. from RD Family Funeral Chapel, Weyburn, SK. A Funeral Service will be held Tuesday, December 4, 2018 at 11:00 a.m. from Weyburn Free Methodist Church, 133 ~ 14th Street NE, Weyburn, SK, with Rev. Jody Pfeifer officiating. Active Pallbearers are: Grant Klippenstein, Steve Klippenstein, Randy Klippenstein, Scott Klippenstein, Shane Webster and Ken Bourassa. Honorary Pallbearers are Rylan Trithart and Cole Klippenstein. Luncheon will be held at Weyburn Free Methodist Church with interment following at Trossachs Cemetery, Trossachs, SK. For family and friends so wishing, charitable donations in memory of Marilyn may be made to the Canadian Cancer Society, 1910 McIntyre Street, Regina, SK, S4P 2R3 or S.T.A.R.S., 2640 Airport Road, Regina, SK, S4W 1A6.